If you are looking for 1st anniversary paper gift ideas then Paper Tree is a very good place to find them! We specialise in creating beautiful paper flowers and paper gifts which make perfect first wedding anniversary presents (traditionally represented by paper). 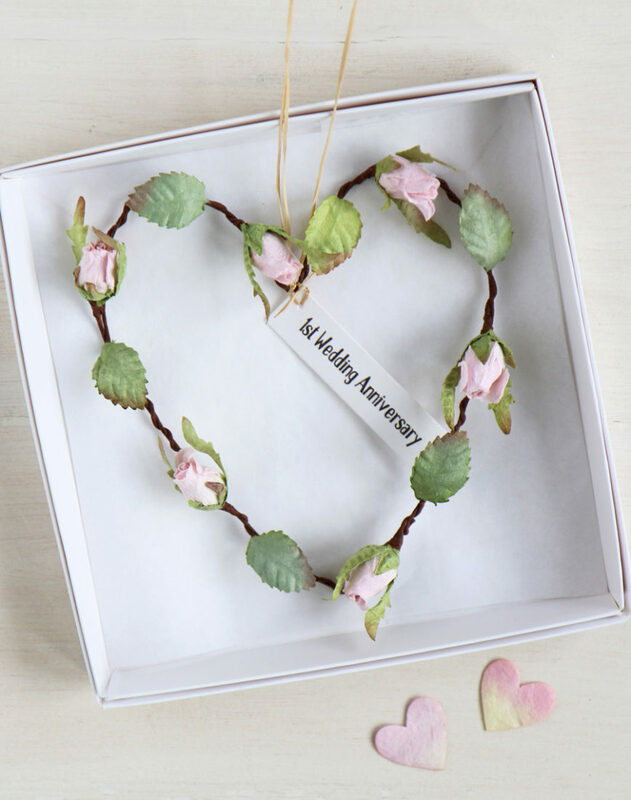 This paper rose is printed with the words ‘1st wedding anniversary’ then gift wrapped with a paper raffia ribbon and gift tag with heart decoration. The paper is 100% recycled and from a FSC sustainable source. 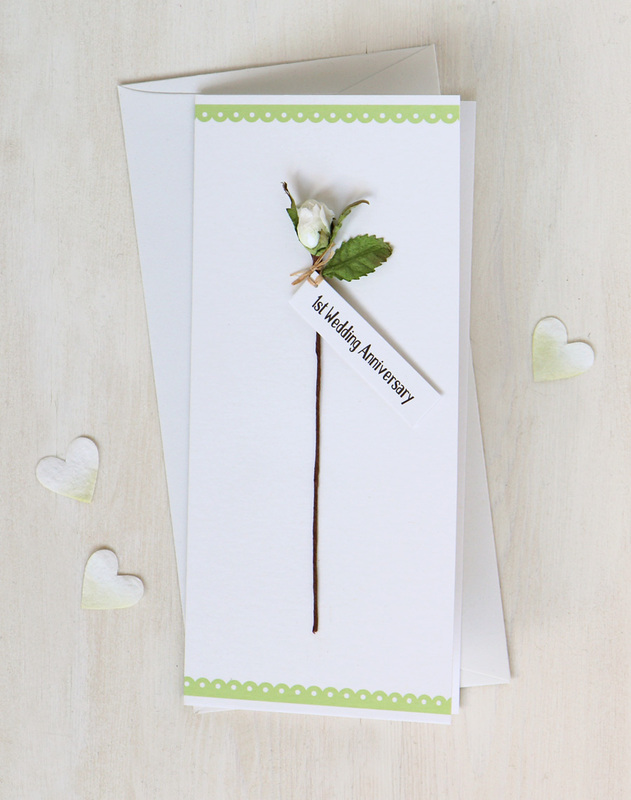 If you would like a personalised paper rose then we can print the rose with words from your wedding vows, first dance, your names & wedding date or a personal message. 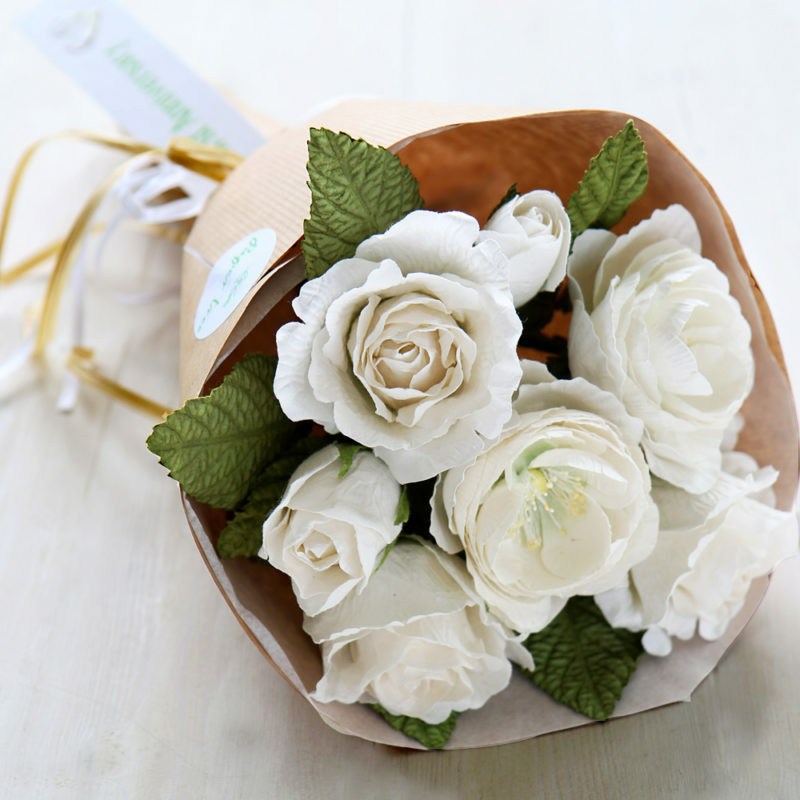 A new addition to our 1st anniversary collection is a bouquet of ivory paper roses and rosebuds. 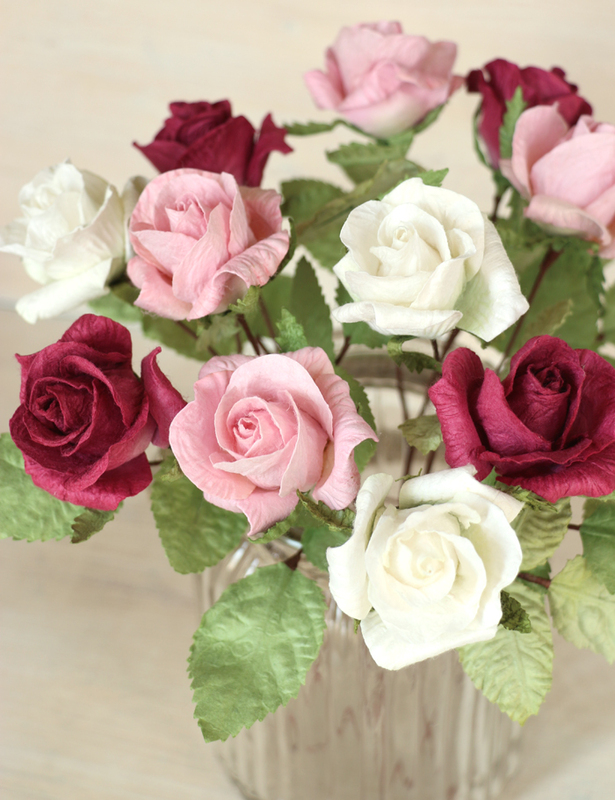 The roses and beautifully handcrafted from eco-friendly mulberry paper. This paper is handmade and is harvested from the bark of the mulberry tree which regenerates after harvest so does not destroy the tree. 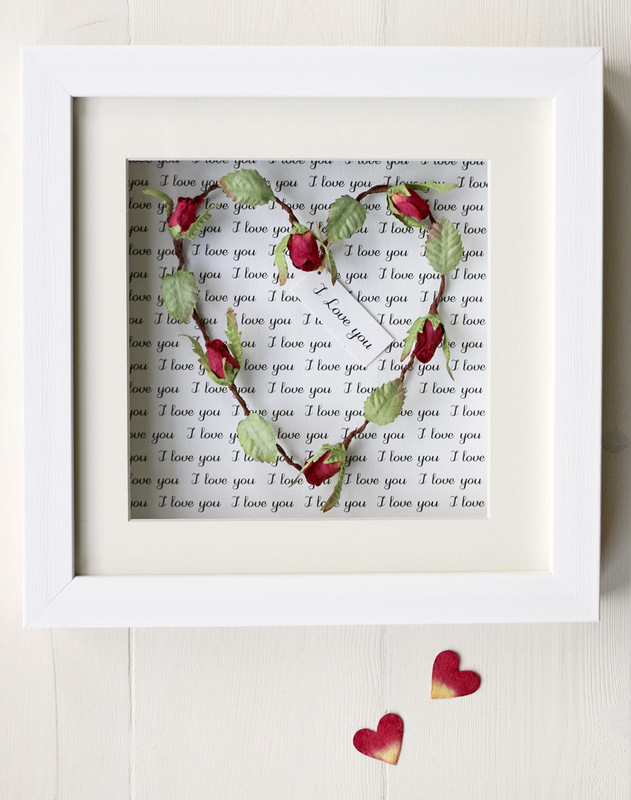 A very romantic gift is this pretty paper rosebud heart, available unframed as a small gift or mounted in a frame. The text behind the heart reads ‘I love you’ and can also be personalised with your own words. 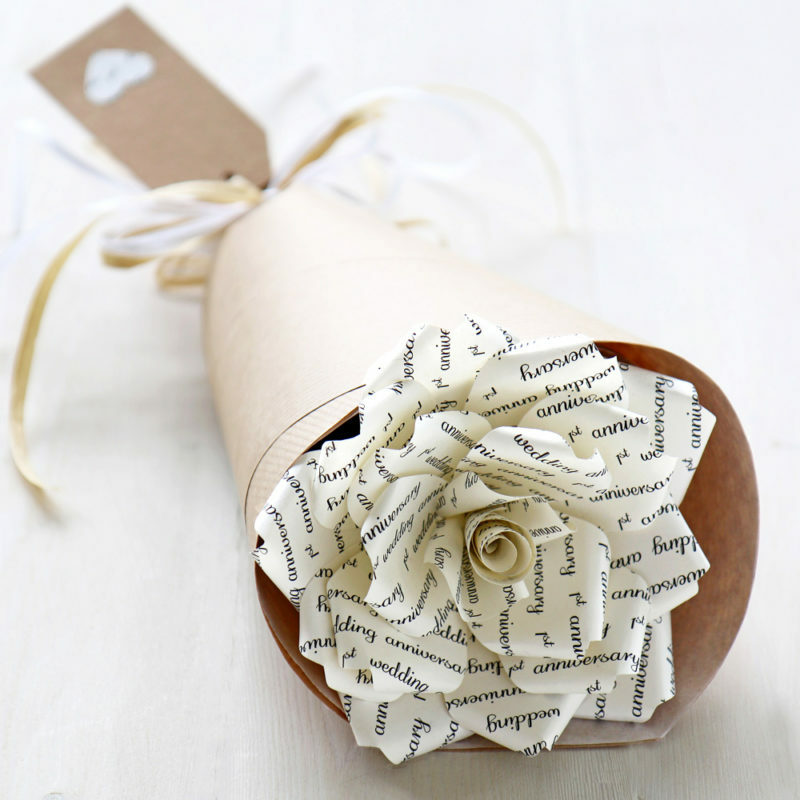 One of our most popular first wedding anniversary gifts is a bouquet of 12 paper roses. The roses are small to medium in size and available in 5 colours – pale pink, dark pink, ivory, yellow & red and any combination of colours can be selected. This entry was posted in Uncategorized and tagged 1st anniversary gift, 1st wedding anniversary gift, paper anniversary gift.